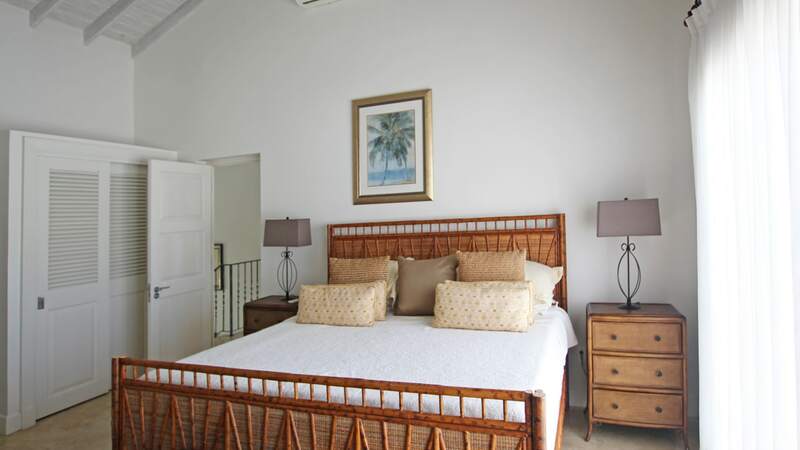 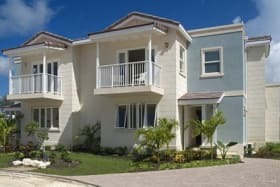 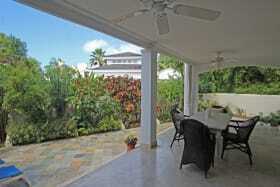 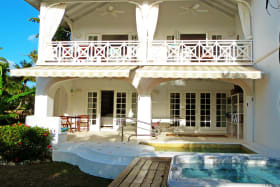 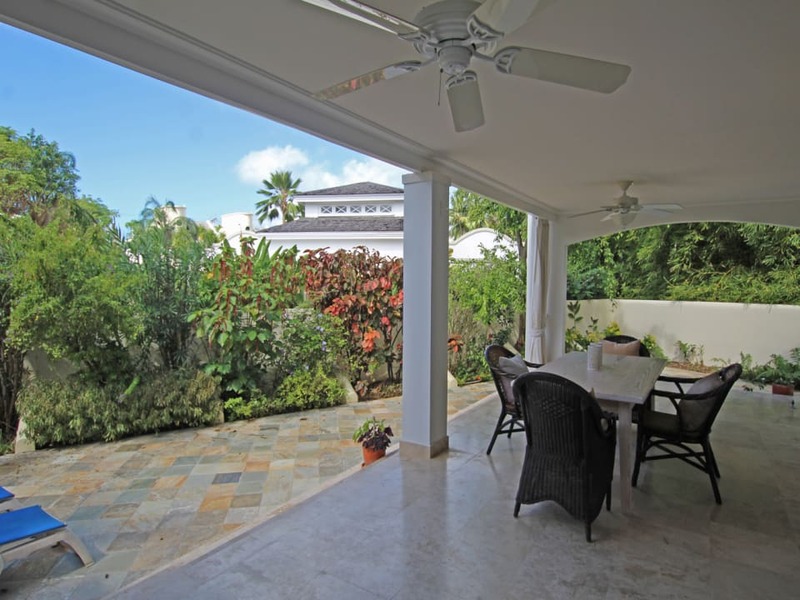 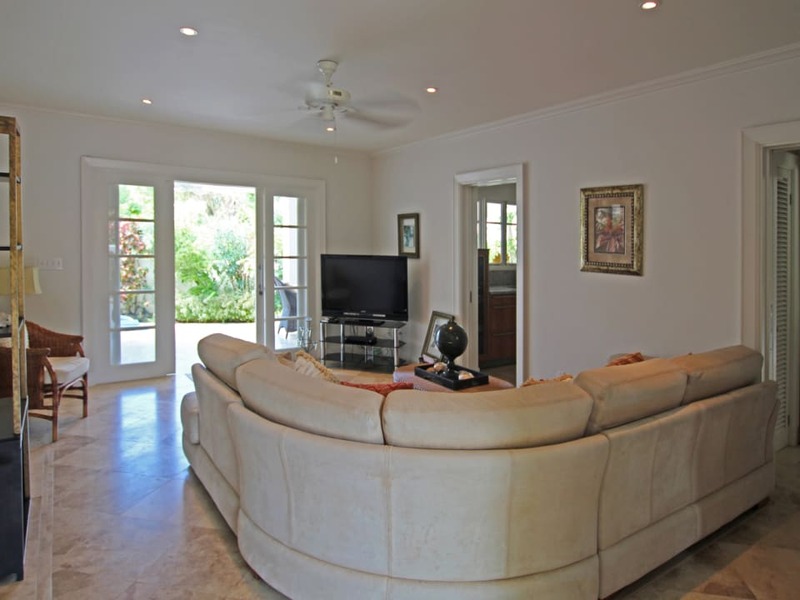 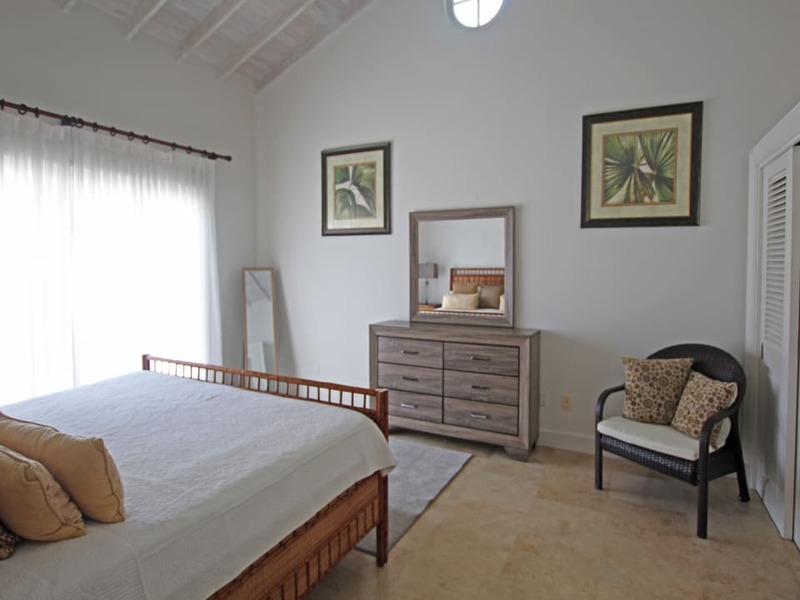 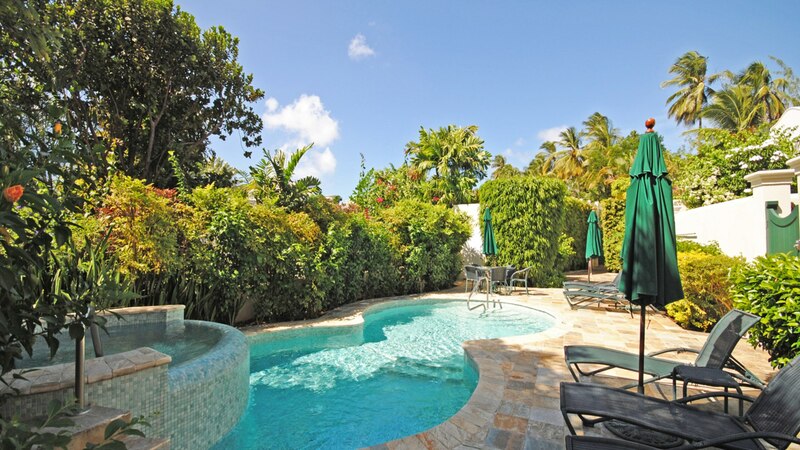 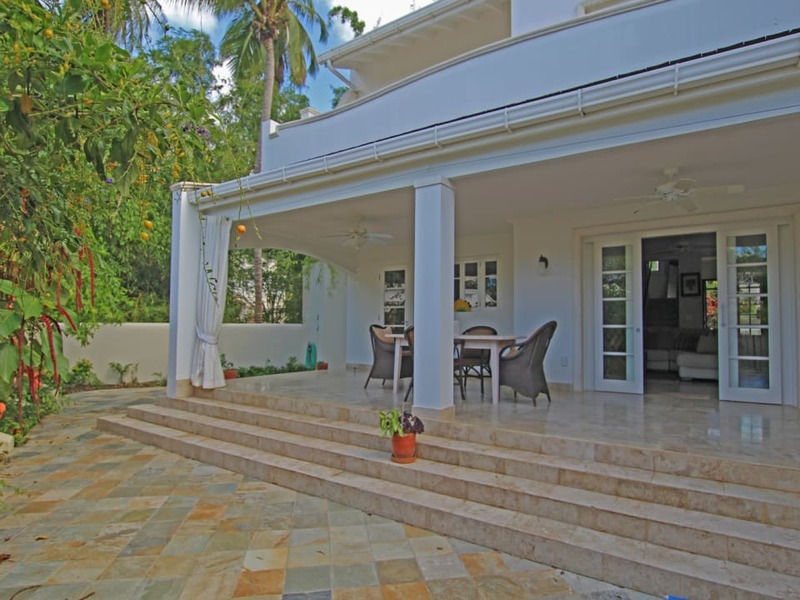 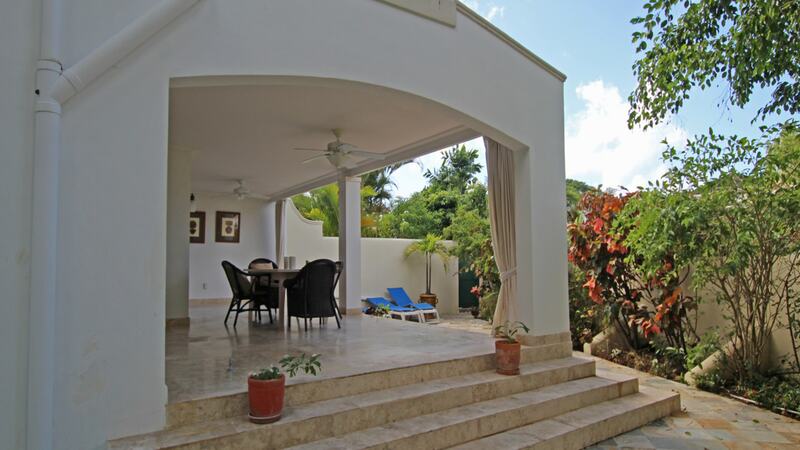 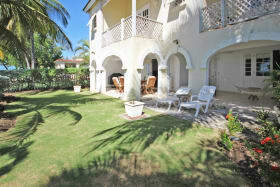 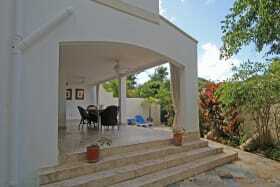 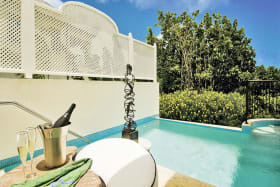 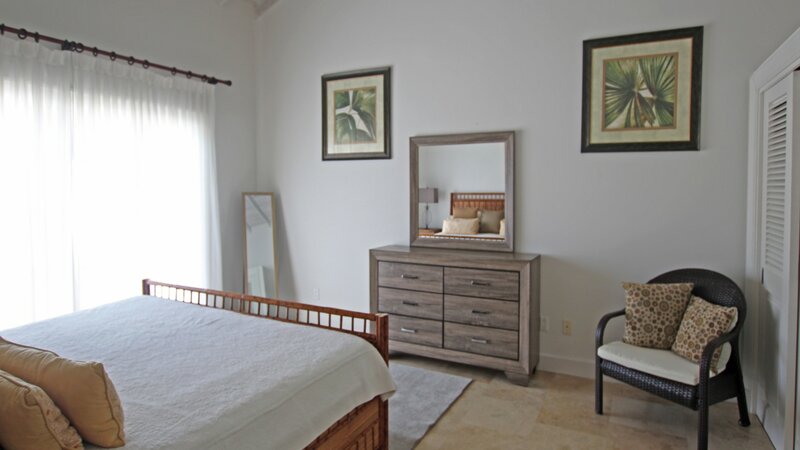 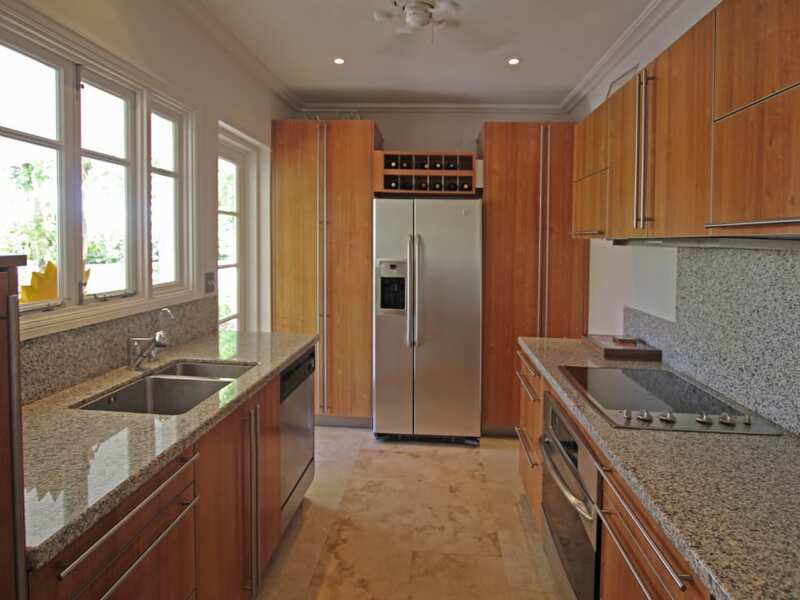 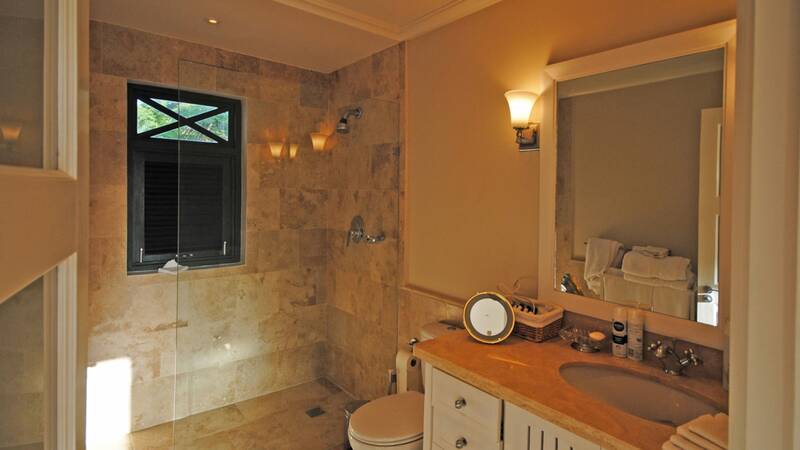 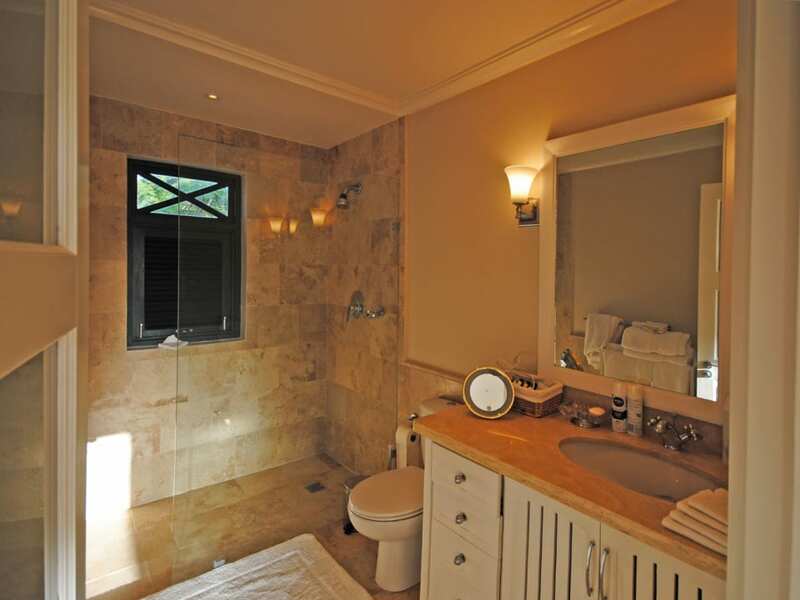 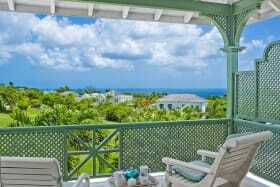 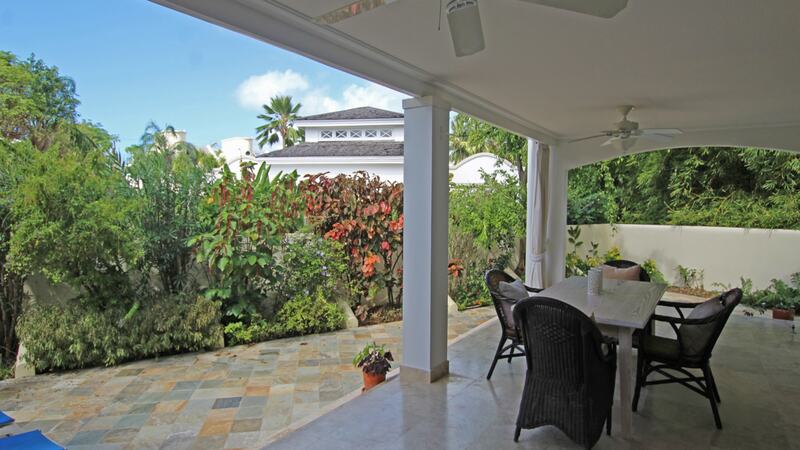 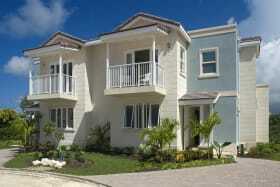 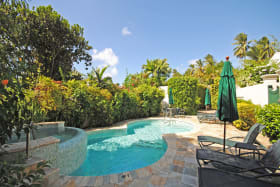 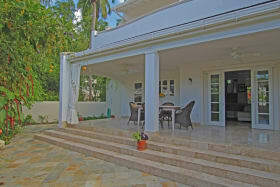 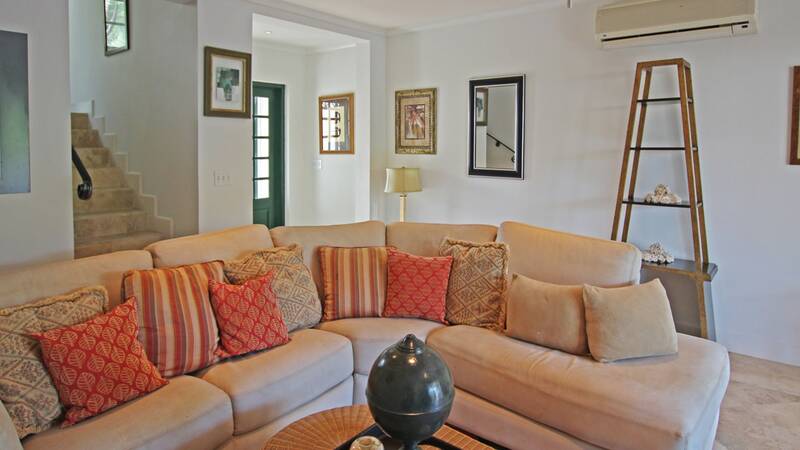 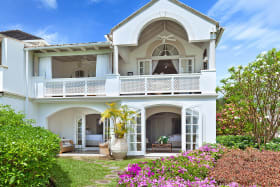 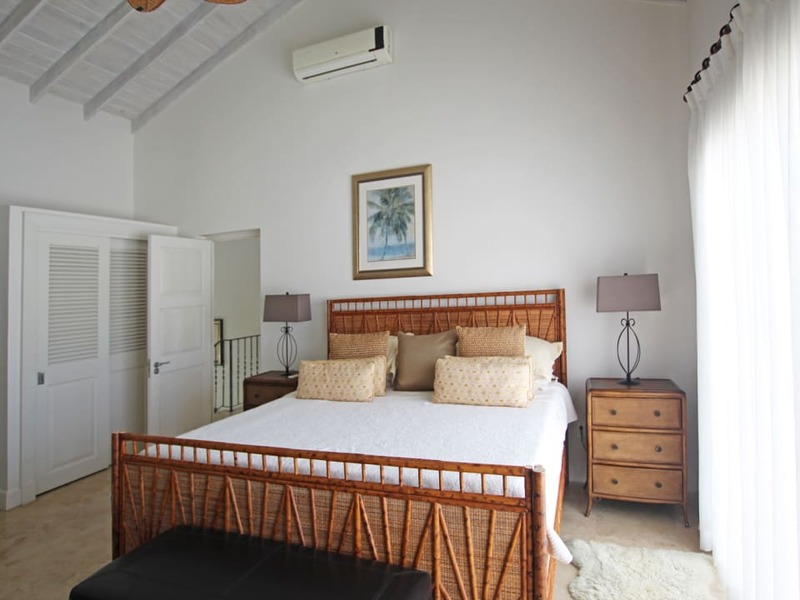 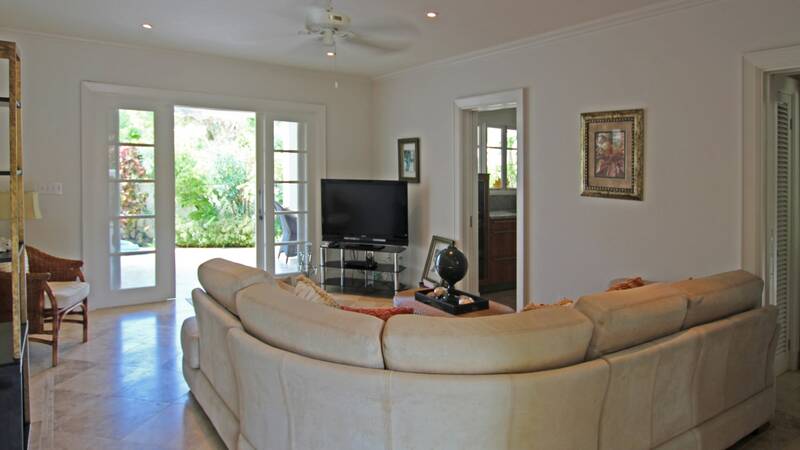 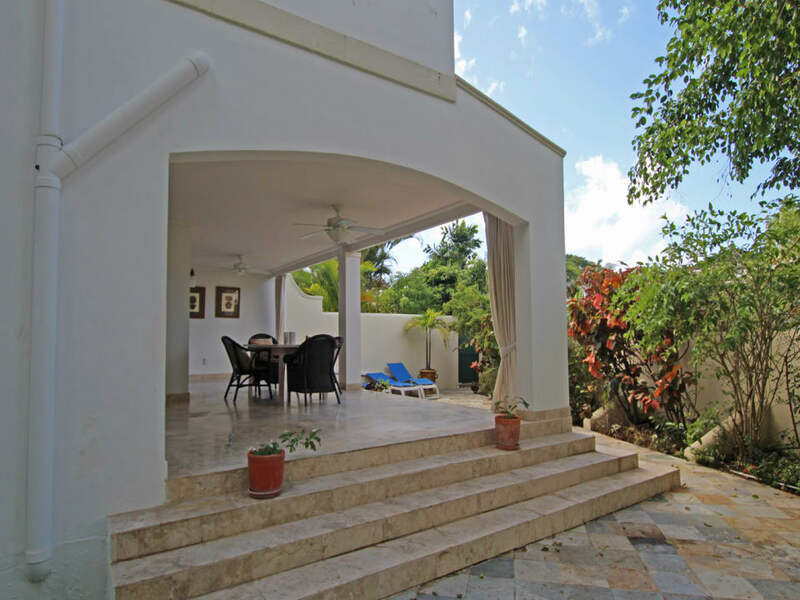 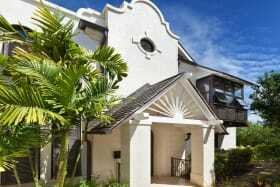 An elegant 3 bedroom villa within the gated Mullins Bay development with large swimming pool, steps from Mullins beach. 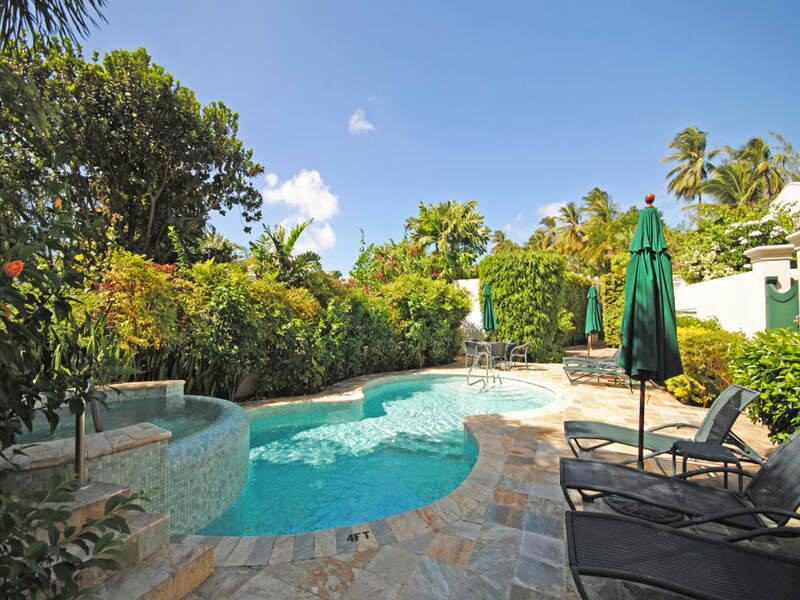 This three bedroom, three-bathroom semi-detached residence has a most private location within the well known Mullins Bay community; a short walk across the road from the famous Mullins Beach in St Peter where there is a casual beach bar and watersports. 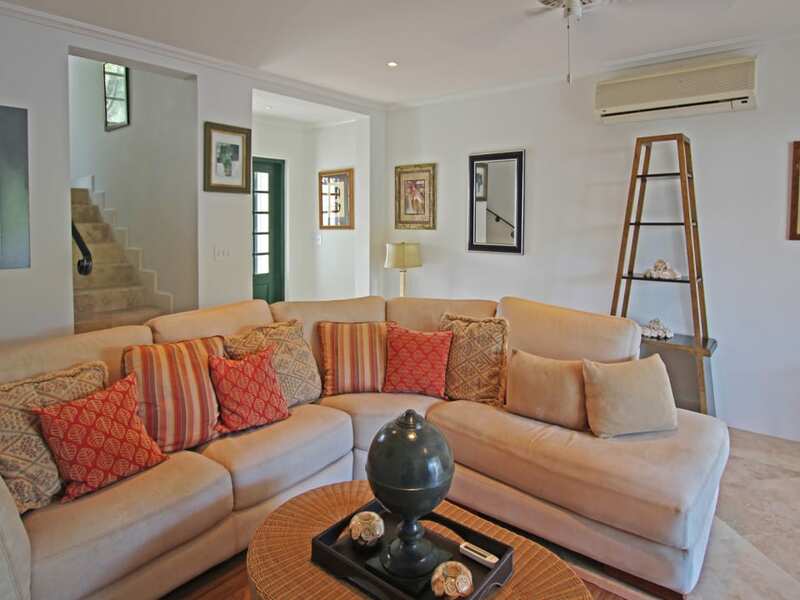 The Palm House has elegant and comfortable interiors. 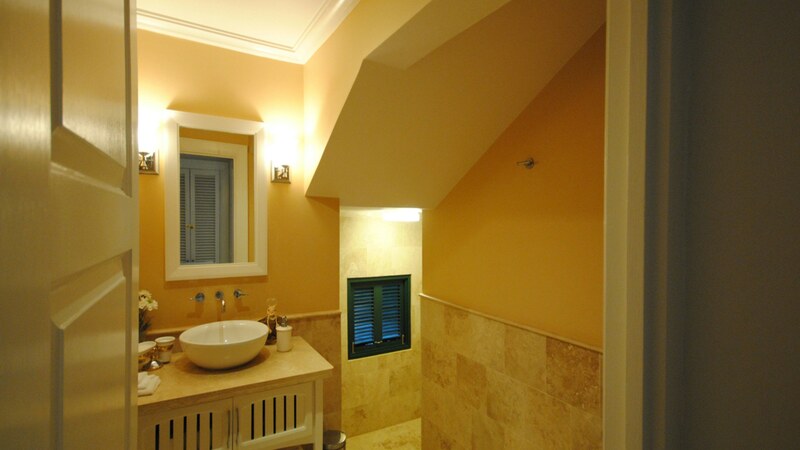 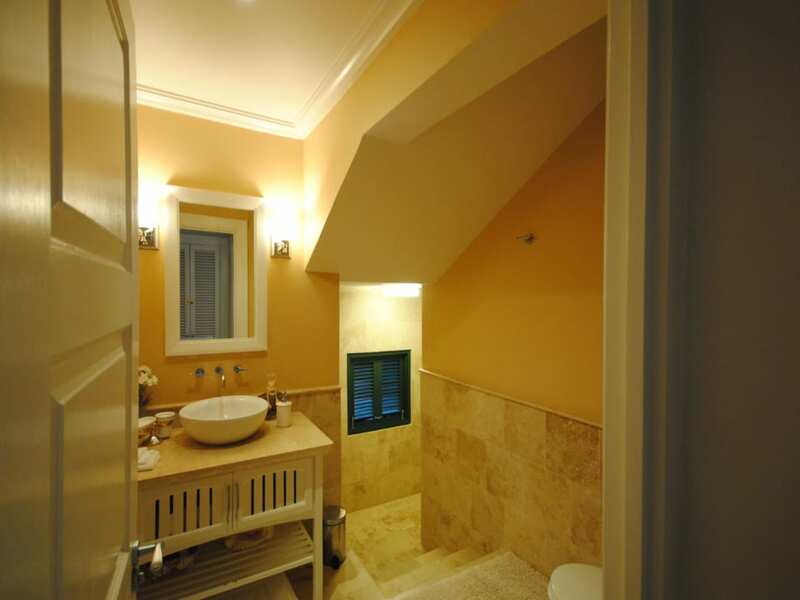 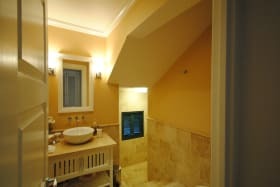 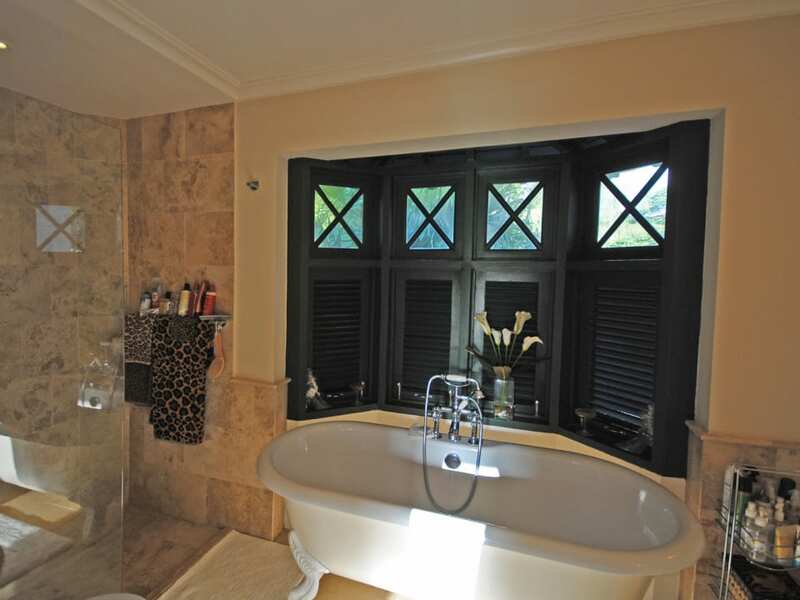 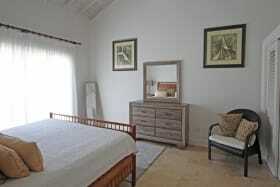 On the entrance level there is a twin bedroom with adjacent shower room. 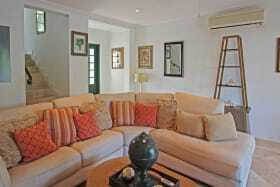 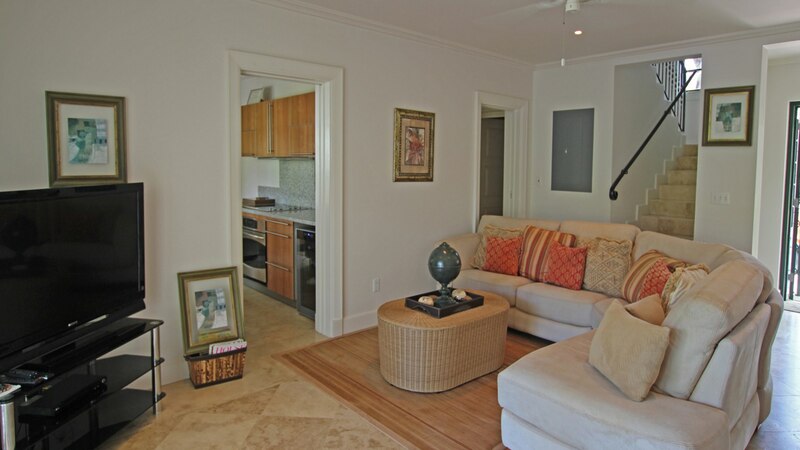 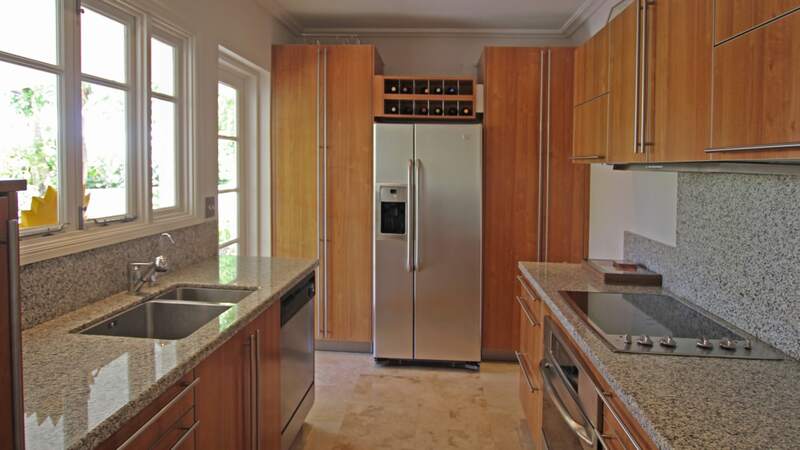 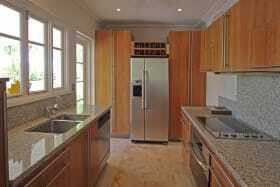 The living room and custom designed kitchen both open to a covered verandah where there is dining and casual seating. 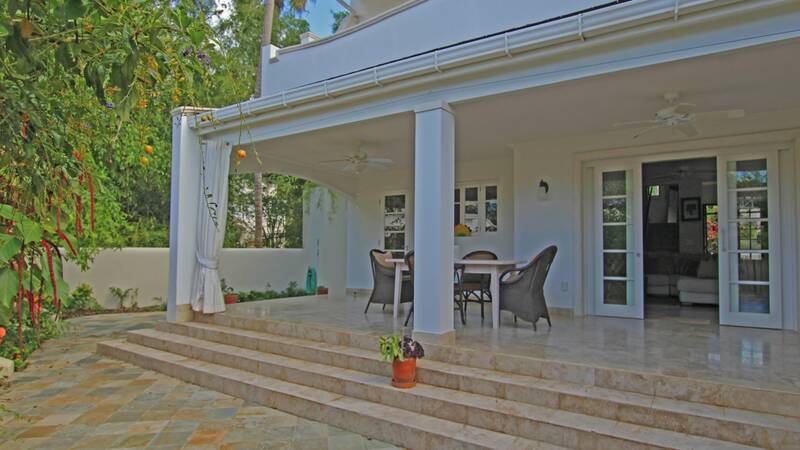 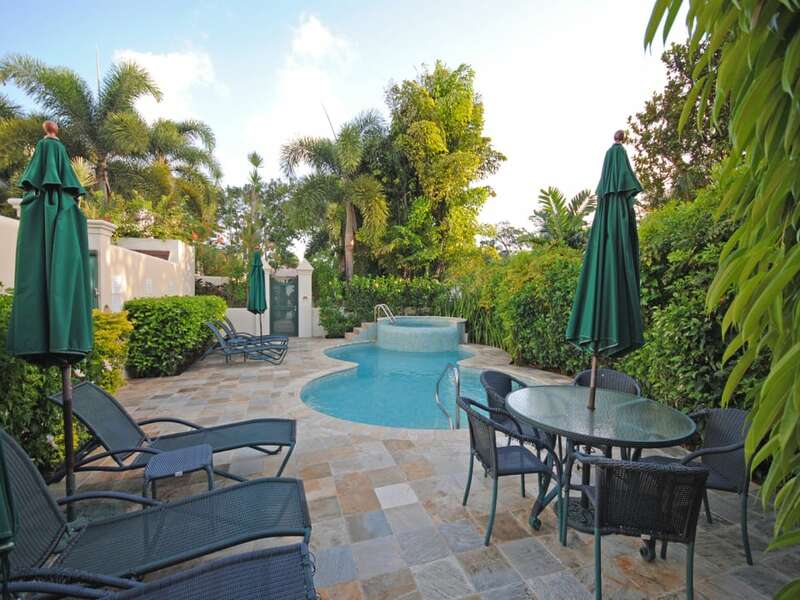 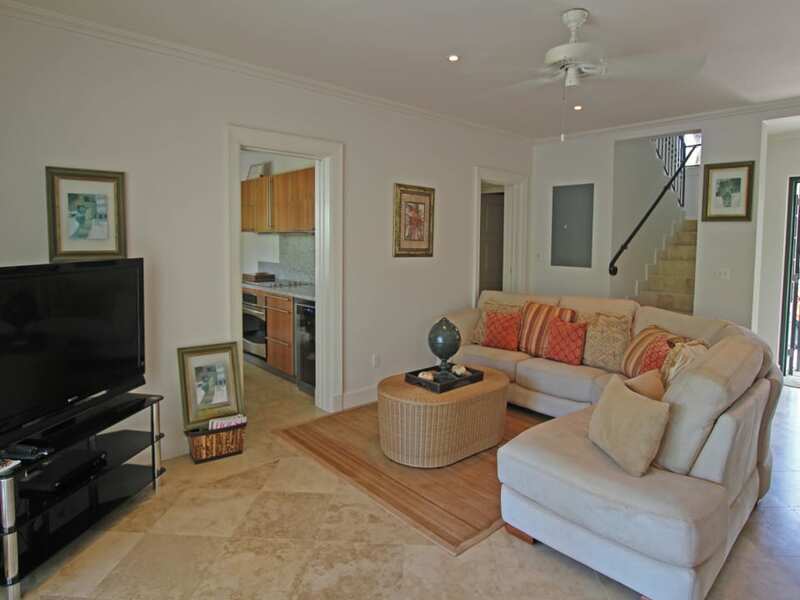 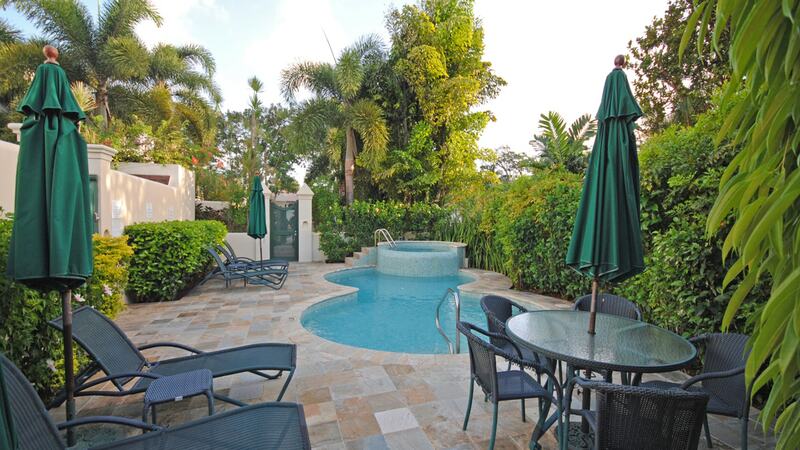 From here a few steps lead down to the spacious paved terrace that is enclosed and planted with tropical palms. 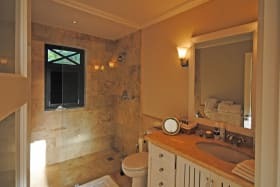 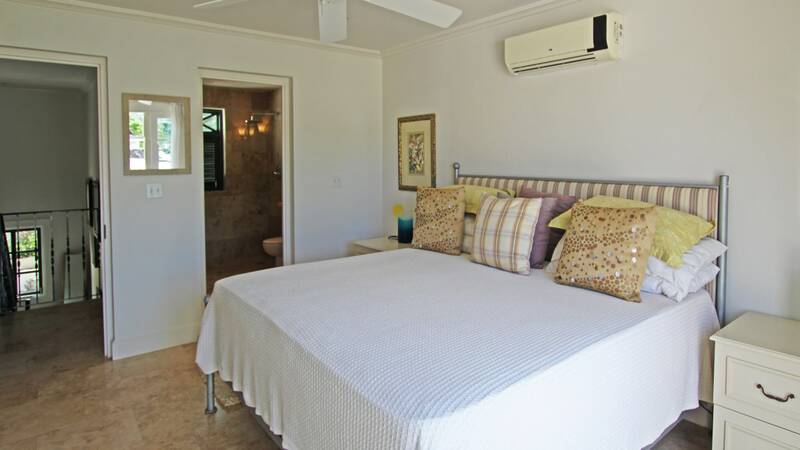 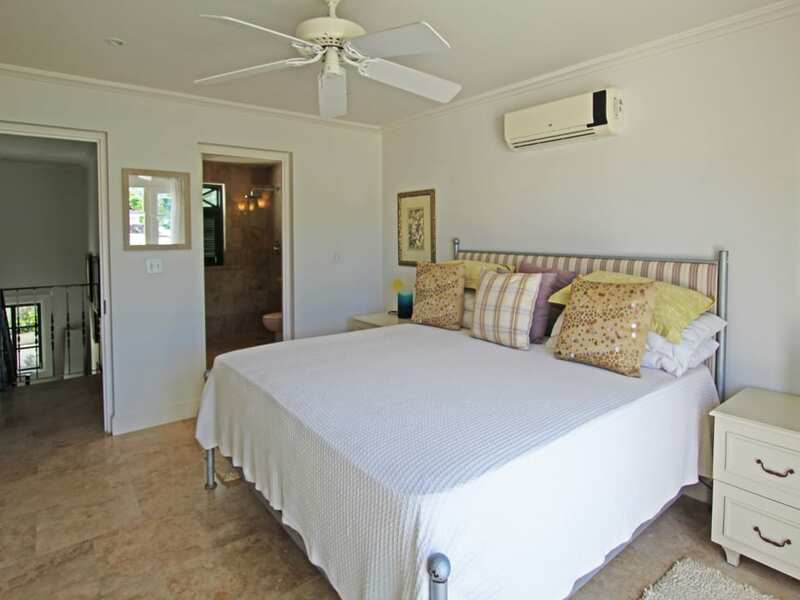 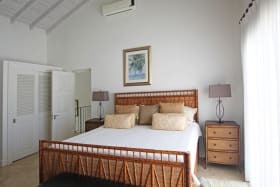 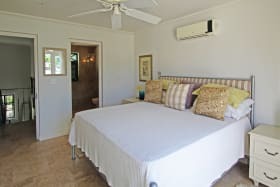 The first floor accommodates the master bedroom and another guest bedroom, both have ensuite bathrooms and the master has a tub and separate shower. 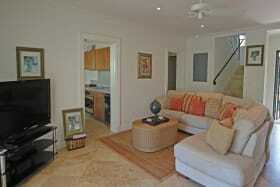 This level offers attractive high ceilings. 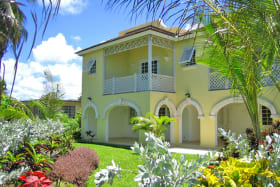 Palm House benefits from 24-hour security ensuring utmost privacy, and owners have access to two large swimming pools at Mullins Bay, the closest just off the terrace, the Royal Westmoreland Indulgence Spa and Beauty facility (re-opening in Oct. 2018), fitness center and pool. 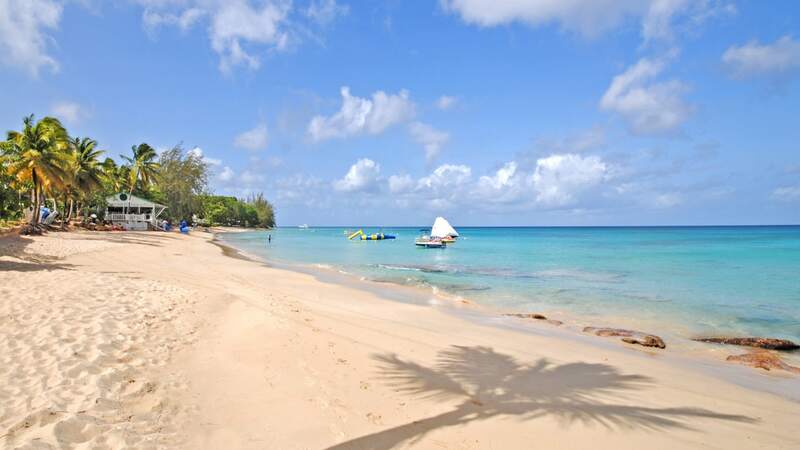 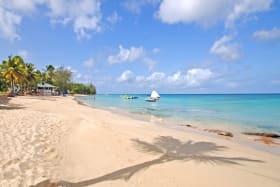 A short drive to Holetown and Speightstown. 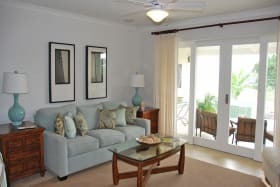 Owners of this unit will have the option to purchase the beach facility membership at Mullins, and enjoy the benefits of this privilege.